From the main menu, expand Integrations and then select Inbound Integrations from the sub menu. Select the Chat tab, press the Add Integration button. You should now be on the Chat Integration Detail page. Select Slack from the Integration Template dropdown menu. Enter a name for the integration. Select a escalation rule to determine the integration's escalation policy. Enter the names of recipient user(s) and recipient group(s). Click Save. Select a channel to integrate AlertOps and Slack. In AlertOps, select a group to add Slack to. Next, add Slack to the Group Contact Notifications section of your Escalation Rule. After completing the integration setup, alerts sent to this group will appear in your Slack channel. When you receive an alert in Slack, you have the option to Acknowledge, Assign, Escalate, and Close the alert. 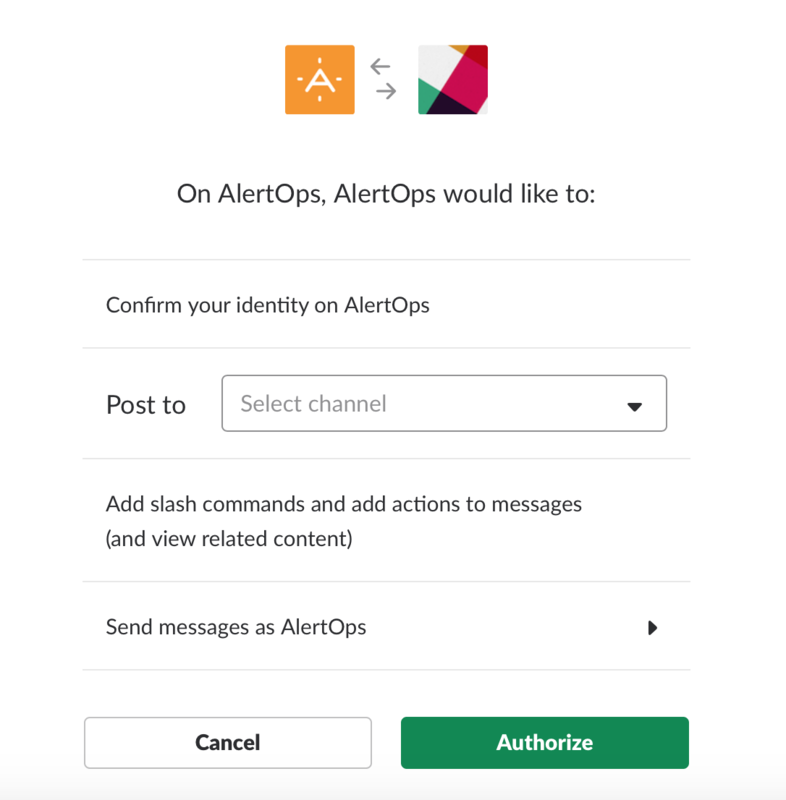 Execute actions in AlertOps through slash commands in Slack.